After Ven. Pelza was released from prison, she met Will in front of the LPP building in San Francisco, 2007. Photo courtesy of Ven. Tenzin Pelza via Facebook. Mary Smith (now, Ven. Tenzin Pelza) began corresponding with Will Manson in 2005 through Liberation Prison Project (LPP), an FPMT-affiliated project that supports prisoners interested in Dharma around the world. In this short interview with Carina Rumrill, former LPP teacher coordinator and friend of Will, Ven. Pelza remembers Will’s kindness to her over the years. Will passed away at the age of 77 on April 19, 2014, after a stroke. How and when did you begin writing to Will? How long did you write with him? When I originally wrote LPP back in 2005, I was given another mentor named Jampa, but he only wrote once and then Will began to write me. I remember being so excited. We corresponded for two years until I got out and went to Walden House. When you got out of prison, he was so anxious to meet you. What was it like finally meeting him? I remember being so nervous. I think I was afraid he wouldn’t like me in person, that I would seem a bit childish. After all, I was emotionally still a teenager and everything was so new to me. I felt like I was taking my first steps as an individual outside of my 20 year relationship and only with the experience of three sober years. I felt like I was meeting a whole new set of parents. I was very lucky because I felt like I was getting two for one, with Sandi [Will’s wife] included. I remember feeling really accepted and loved by both of them. What about his correspondence most moved and inspired you? One thing that really inspired me was all the retreats they did at their age, especially the nyung näs. I always felt his kindness and his encouragement in all my endeavors to learn new things. For a long time I thought he was a monk because he was so skillful in bringing the Dharma into everything. I still go back and read his letters in times of despair or when I feel discouraged. I have every letter he ever wrote me. Did you keep in touch with him the last few years? Unfortunately, once I moved to Raleigh, North Carolina we lost contact with each other. I lost all my phone numbers and didn’t reach out to him. Then I came to India and I haven’t kept in contact with anyone other than Ven. Chokyi. 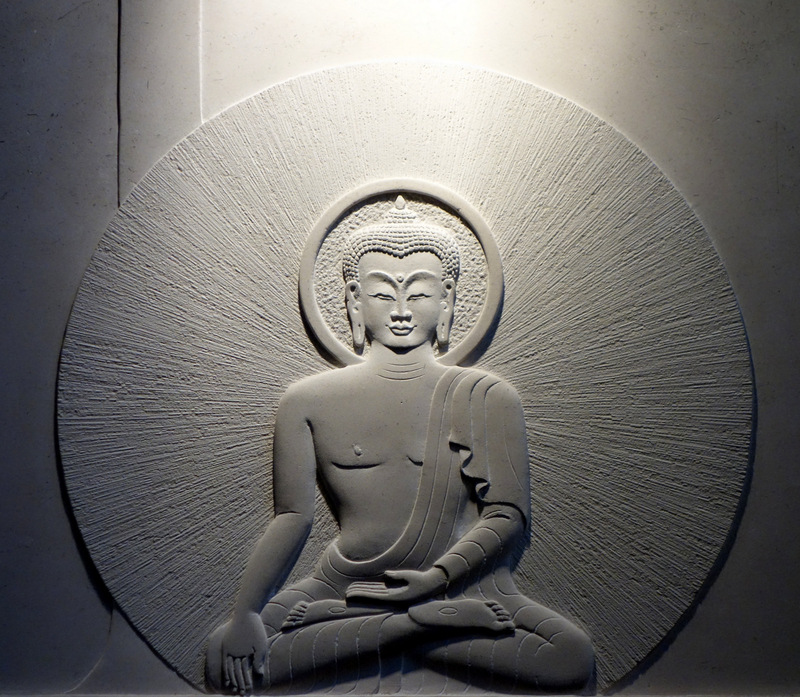 Buddha in relief, Jamyang Buddhist Centre, London, UK, July 2014. Photo by Ven. Roger Kunsang. Is there anything about Will you feel would be inspiring or cause for rejoicing for others? Many, many things. He was a very generous man in every way, I always felt like he was really present with me, he was a very available person. Sometimes when we talk with other people, it feels like they are not really there; you see it everywhere. People go out to dinner together and they are on their cell phones, texting, etc. Will was not like that. He openly and lovingly participated in his relationships. I saw it with Sandi and I felt it. He had a way of making me feel like what I said and felt mattered. He was for me the perfection of patience and generosity. 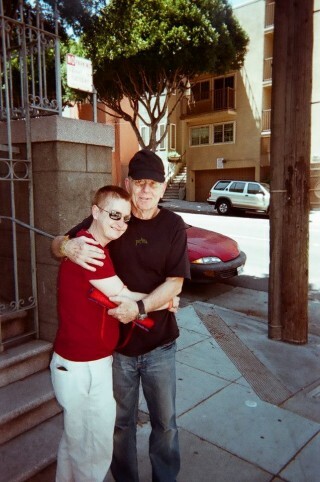 I loved him so much and when I go home at the end of the year for a visit, I will call Sandi and try to see her. I cannot imagine how she feels, they were a good example of a loving couple and they so complemented each other. Learn more online about the Liberation Prison Project and read archive stories from Mandala about LPP.